The most obvious difference between countries when localizing software is language. With over 6,500 languages spoken around the world, software localizers and translators have their work cut out for them. Tom Scott demonstrates just how difficult changing an app to support different languages can be, with developers having to cope with not just different languages but different cultural concepts as well. Developers have to contend not with just different languages but also differences among dialects of the same language. The nuances of language and the differences among language make it difficult to translate text from one language to another. There’s nothing more personal than someone’s name, and there’s a surprising amount of variance in how people’s names are structured, at least for people in English-speaking countries. Most people in the English-speaking world are familiar with names that have a first name, middle name and a last name, but in other parts of the world, that’s not necessarily a given. With Spanish naming conventions, people tend to have a given name and two last names in Spain. In Latin American countries, people usually have two given names in addition to two surnames. If you thought having two last names was tough, what about people who don’t have last names at all? Iceland is famous for its patronymic naming system, where people are identified by the first name their fathers, with a “-sson” or “-dottir” appended, depending on if a child is a son or daughter, respectively. What does all this business about naming have to do with software? A number of applications are moving online, and that means that they’ll have to have some kind of registration form. Developers who want international reach will have to be aware of naming conventions in countries they want to support and avoid hard-coding their own ideas about how names are structured into their applications. Naming conventions also affect how databases are structured. Wanting to support different naming standards later on will require a radical restructuring of a company’s databases, which can be very difficult, time-consuming and expensive. It’s best to be aware of this problem early on. The other major pitfall for localization is date formats. In my native U.S., dates are structured month/day/year. For example, 5/20/2016 is May 20, 2016. In the United Kingdom, it’s the day that comes first, instead of the month. There are also other numerous subtle differences around the world, and it’s important for developers to be aware. There are lots of other smaller details that people localizing applications will have to be aware of. Currency is an obvious one. Developers offering services for sale will not only have to make sure that the currency is correct, but that the price in the target currency is fair. Another issue is time format. Some countries express time using the 24-hour clock, and some even take it further. If you’re in Japan staying up to catch the latest anime, a program that airs at 2:00 a.m. might be shown in TV schedules as airing at 26:00. The Unicode Consortium maintains an extensive database of locale information, the Common Locale Data Repository or CLDR. So if you want to localize your applications for international markets, what are some best practices? The best thing to do is to avoid doing as much of the hard work by yourself if you can. There are plenty of libraries out there that can handle things like converting units or currency. Machine translation is another option, even though a human translator will be able to capture some important differences. Any encounter with Google Translate shows that machine translation still has a long way to go. Supporting different languages will be easier if programmers support Unicode from the start. The days of programmers assuming one character equals one byte are long gone in our globalized world. Developers also need to test their applications, preferably on people from the target country, to uncover any mistakes with translations or units. In a nutshell, developers will have to think about supporting different countries at the outset. Converting software for other countries can be daunting, but some foresight when designing software can make the task much easier in the long run. Another issue is time format. Some countries express time using the 24-hour clock, and some even take it further. If you’re in Japan staying up to catch the latestanime, a program that airs at 2:00 a.m. might be shown in TV schedules as airing at 26:00. The rise of machine translation has left human translators with an uncertain future. But the translation industry cannot depend on machines alone and won’t be able to any time soon. So where do translators find their new place? In 2015, social media sites all over the world were in a frenzy over Taco Bell Japan’s new website. Taco Bell restaurants were re-opening in the country and the team had just launched a machine-translated site featuring the menu items. What was intended as a globalization effort to bring American fast food (and fast food product names) to Japan turned into a PR nightmare. A signature item on the menu, "Cheesy Fries", was advertised as "a low-quality fleece". The "Crunchwrap Supreme Beef" had been translated to "Supreme Court Beef". Customers were both amused and confused. And while Taco Bell received a great deal of press for their Japan launch, it wasn’t necessarily the type of press they were seeking. Of course, not all machine translations (MT) suffer such blunders, and, in fact, many MT tools have become extremely sophisticated; however, in recent years, the rise of MT has made waves of all kinds within the traditional translation industry. As an industry historically built upon essential human critical thinking, translators all over the world have had to contend with the rise of technology and an increasing demand for quick, cheaper machine translation. Since 2006, anyone with an Internet connection has been able to access Google Translate with the click of a button, and other translation software is continuously being developed and improved upon. 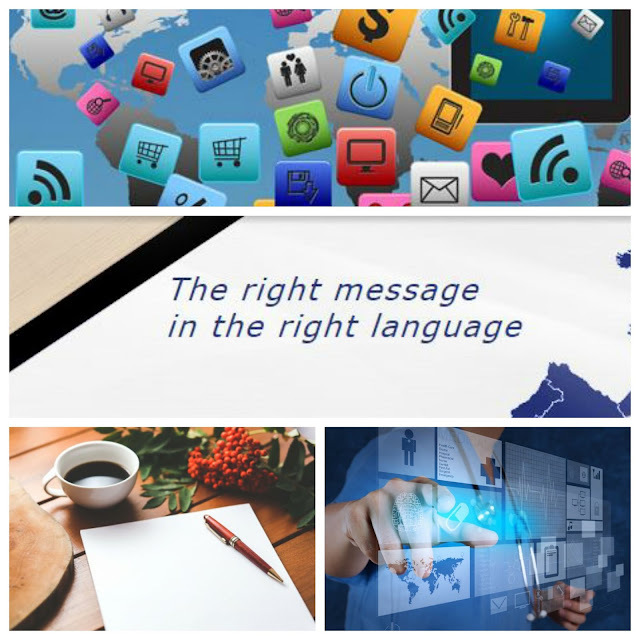 With quick turnaround time and human post-editing (PE), many companies are turning to MT and away from traditional translations, leaving many to question what might become of this industry and the language professionals who have built it. While MT is adding a new flavor to the translation world, it is generally accepted that terms like "Crunchwrap Supreme" are better suited to the human translator. The translation industry and its related professions are amidst a rapid transformation. An industry worth $38 billion USD (Common Sense Advisory) historically based on the talents of trusted and highly-trained linguistic professionals is coping with the introduction of what many consider to be the antithesis of human quality work: the emergence of translation technology. For many in the industry, translation has long been considered an elevated art form, bridging cultures, ideas, crucial professional content and schools of thought. The earliest translators built roles for themselves based on the clear and most basic necessity of communication. Since then, the industry has evolved in the same way, fueled by clients with an awareness of localization, a need to represent their brands efficiently across cultures, and overall, propelled by a society that recognizes the contributions of a translator as a key conduit of information – a skilled liaison between worlds. It was this attitude that brought the industry rapid growth and, as with many other industries, translators have continued to train those growing in their field with the same rigor and respect for the craft. Language service professionals have created associations (e.g. the American Translators Association or Translators Without Borders), quality control systems and methods for pricing their work. Conferences have covered everything from the most widespread to the most obscure challenges in the profession – from localization to subtle nuances in literary translation. Translators, no matter how diverse their projects, have supported each other while working towards the same goal: to maintain the highest quality of a source text in its target language. MT has left many traditional translators questioning the profession itself. Paper and online dictionaries have been replaced by translation memory devices and word banks stored in the cloud, and instead of pay-per-word translations, there are now post-editing prices, determined by a number of varied elements. While the emergence of MT has been incremental, the comparison of the traditional industry with the industry today is quite stark. Today’s globalizing society still strives for quality, but the major focus is speed. The sheer mass of content necessary to communicate, share and sell content across cultures and languages has led to an unprecedented industry growth, highly dependent upon machines. With tools like Translation Memory (TM) and Google’s Statistical Machine Translation (SMT), modern MT software is able to process content with a higher productivity of 30 to 300 percent. In a world that demands more content more quickly, MT is the logical solution. Even more, when we consider the plunging costs of purchasing software versus paying a comparatively expensive human translator. But while money and time are key concerns for clients, they are also major concerns for translators, holding onto the value of their craft. The emergence of MT as an efficient and low-cost option has altered the landscape: What type of work professional translators are able to obtain and at which pay rate has changed drastically. The life of a freelance translator, once based on securing projects and clients, and establishing a reputation for quality, has now shifted to offering a variety of services. The introduction of MT has made traditional projects harder to come by. There are certainly companies and clients whose focus has remained on human translation; however, budgeting and project turnaround needs have made them few and far between. In addition, many translators report that their earning potential has taken a downward shift in the technology age (Arenas, JosTrans). Traditionally, translators have charged on a pay-per-word basis; however, many translation projects are no longer solely priced via this format. Translators, increasingly in need of consistent income, are more often accepting projects for post-editing machine translated content, which can be billed via time spent, corrections made, or by the required quality level of the post-edited content. Perhaps most importantly, MT has been a challenge to the underlying value of quality in the industry. While MT developers are working tirelessly to take machine translations closer to the quality output generated by a human, many translators argue that the machine can never match the layered, nuanced and smart human brain. In the same way that those in the fashion industry defend the quality of handmade clothing over that produced in a factory, or those in the kitchen rate skillfully cooked meals over those produced, packaged and frozen, so do translators emphasize the inherent quality of translations processed by the human mind from start to finish. Skirting quality for speed, many say, may cause serious damage to the industry. And although the costs may be higher for this level of quality, a fair number of translators argue that this tradeoff is worthwhile – particularly when it comes to translating medical documents or legal transcripts. MT may not be the solution for the legal and medical fields, but it certainly has its value and place. That place, however, may not be front and center, and it has been an ongoing process to figure out just where it may be best suited. A common argument in the conversation regarding MT is that we can’t push against it; technology is here to stay and we must find a way to accept its inevitability. The implementation of any technology, however, can vary greatly, and the translation industry is no exception. MT, which dates back to the late 1940’s, has slowly been inching its way into the modern industry and it is with much fine-tuning that it has been incorporated to the extent that it has reached today. Even so, the estimated accuracy of raw machine-translated content is only 50-70 percent, according to SDL. Thus, the use of MT should be consciously selected, rather than all-embracing. In medical translation, for example, where words and diagnoses can be a matter of life and death, the quality and accuracy in translation is of utmost importance. The same applies to legal translation, where particular word choices and positioning carry deep significance and can decide the course of legal processes. As stated in a recent ATA Q&A with Cressida Stolp, senior project manager at Divergent Solutions, "As long as there are lawyers and doctors, there will be a need for human translators. That’s because they cannot afford mistranslations in these fields." Other realms where MT encounters numerous errors are in translating languages that read right to left, like Arabic and Hebrew. In these cases, not only is the machine required to implement TM and word replacement, it is also required to rearrange the order of words and the direction in which they’re written. In many cases, post-editing this type of machine-translated text can create even more work for a translator than translation from scratch, because of the constant necessity of referring to the source text in order to make sense of the machine-generated content. One area in which MT is successful, however, is in technical translations. Straightforward, simple, repetitive and with far less nuance, technical writing provides a more calculated approach to writing – one that is highly complemented by the tools employed by MT. "The reality we are seeing every day is that for technical translations ranging from software to manuals to catalogs, quality MT is achievable," states Ken Clark in his article "Elements of Style for Machine Translation" (MultiLingual magazine). For many companies looking to translate their technical content, MT may in fact be a highly valuable tool. Other arenas in which technology is finding praise by those in the industry is in technological tools that allow the translator to become more successful. Although many companies are working diligently towards creating MT that brings source text to target text, there are also great contributions being made to develop tools for translators to improve their workflow. As in many other fields, technology has the capacity to enhance current human work without completely replacing it. Tools like Wordfast’s Classic and Anywhere, Cafe Tran, Trados Studio and more are building in "auto-suggest" features that give MT suggestions to translators in subsegments. Déjà Vu utilizes fragments of MT to automatically fix fuzzy TM matches, and programs have been developed to use TM to validate MT suggestions. (Jost Zetzsche, ATA Chronicle). Here, specifically, technology has been a great asset to translators. While technology is here to stay, it’s not fair to say that it is the main contributor paving the translation industry’s future. Translators are increasingly becoming aware of the fact that they have a voice in shaping the image of the industry they’ve created. How this may ultimately manifest itself is still a work in progress. Nevertheless, ideas and processes for intentional growth based upon the value of human translation are already being implemented. In the European Union, for example, translators and contracted translators are entitled to a minimum salary level and clear expectations for salary growth, based on increasing experience. In a continent dependent on 24 official languages, providing outlines for how to translate documents and how to compensate translators based on high quality standards is of utmost importance. The EU, which also implements TM and other translation software, states that, "while computers provide powerful means of increasing productivity and improving quality and consistency, the human touch remains irreplaceable at the core of this difficult art" (EU, Interpreting and Translating for Europe). As reported in 2012, the EU Directorate General for Translation employs 1,700 translators and 750 support staff, and translates approximately 1,900,000 pages per year. In the European Council, documents must be made available in all 24 languages, resulting in 630 translators and 340 assistants at this level alone. All contract staff must meet minimum qualification standards, must have a thorough knowledge of three official EU languages and are paid on a monthly salary grade ranging from 3,170 Euro to 6,651 Euro based on experience. Permanent staff receives a monthly salary ranging from 4,335 Euro to 18,000 Euro depending on their "grade" and experience. In this way, the EU has managed to implement technology while providing protection for their translators and avoiding a severe downfall in salary and/or translation quality. This certainly points to a way in which the US and other countries could begin to implement standards and offer some measure of protection. Payment standards offer the opportunity to promote human value in the industry. While traditional practices are based on a pay-per-word system, changes in the industry are requiring new methods for pricing that allow translators to maintain a financially healthy lifestyle. While the Translation Automation User Society (TAUS) has developed thorough and highly useful guides for post-editing pricing schemes, this side of the industry is still largely unregulated and allows companies to pay significantly lower fees to post-editors for services that may take just as much time and energy as a full translation process. Therefore, quality control – a newer facet in the translation industry – is essential in this area. As MT steps to the forefront, the industry is dependent upon seasoned translators to continue to cultivate and pass on the skills to future translators. Quality, as has been previously stated, is the essential element in the art of translation, and associations are already devising ways to invest in aspiring translators who uphold this value. As salaries for translators continue to experience a downfall, those who believe deeply in the traditional craft are devoting their time and energy to changing the discussion to one of empowerment. They are trying to elevate the industry amidst the machines. There is an increasing realization that we need to value the quality human capital before all the talented individuals disappear from the industry altogether. Associations like the ATA are frequenting schools to address the value of highly-trained translators, and the topic sparks enthusiastic discussions on popular translation forums, at translation conferences and in many prominent translation circles. The transition into a new technological age has not been easy for the translation industry, but it has been transformative. It has caused an industry of bright, creative and skillful linguists to consider and reconsider the power of their words and their ability to manipulate them. It has brought translators to a place where challenge and compromise can fuel empowered change with regard to human capital. Clients may convince translators to accept a lower per-word rate, arguing that technology can now help them to work faster. However, this may come at the cost of the translator’s health and eyesight. MT post-editing rates are a real challenge as some clients wish to pay per hour while others prefer to apply lower per-word rates. In both cases, clients need to be aware of the effort involved in transforming MT output into accurate, high-quality content. In response to the challenges machines have provided, translators should be inspired to leverage their benefits and find creative solutions that emphasize the human value. Unlike other areas, where machines have made humans entirely or nearly obsolete, translation is still very much in need of the human touch. The days of pure human translations might be gone, but the value of the professional human translator remains indispensable. Humans can do the work well without the machine, but the machine cannot do the work well without humans. As we move forward into a world in which the role of MT is expanding, human growth in the field needs to stay on pace. If human translators lose their place in the industry, Taco Bell won’t be the only company advertising "low-quality fleece".